Finding My Virginity: Sunday Shoutouts: May the Fourth be with You! Apparently I got married and stopped doing Sunday Shoutouts every week. My last one was three weeks ago. :( I'm sorry! I've been distracted! As all good nerds know, today is Star Wars Day. May the Force be with with you... May the Fourth be with you... Yeah, it's fun. Beau and I celebrated by buying a few items off ThinkGeek. A baby shirt that says "Size Matters Not" on it for some friends and their baby. 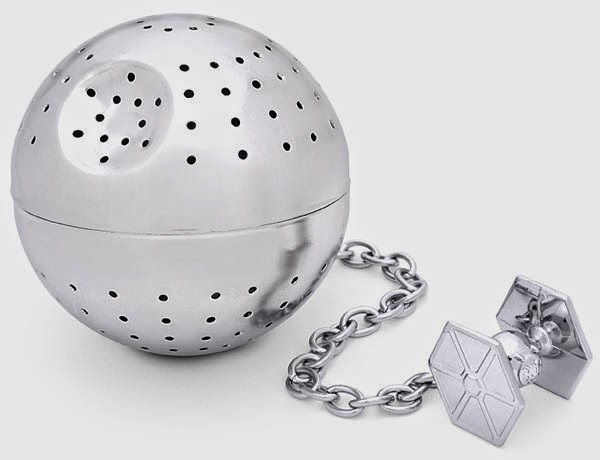 A Death Star tea infuser for me. And while not a Star Wars product itself, we rounded out our order with an unofficial Harry Potter wizarding hat charm for my Pandora bracelet. My tea will be the strongest in the Empire! But enough about all our nerdiness! Let's take a look at what I read last week. #BringBackOurGirls refers to the schoolgirls in Nigeria who were kidnapped by religious terrorists several weeks ago. While I have read some good news coverage from traditional sources, two blog posts on the tragedy really humbled me and inspired me. Melissa Atkins Wardy, who writes my favorite feminist parenting blog, wrote the piece "Where Are Nigeria's Stolen Daughters?" She reminds us that this particularly horrific act is part of a larger culture that devalues girls and women. The other blog post is one that I found on twitter, and I'm not familiar with the overall blog. "Everyone is an Expert on Nigeria Now" points out that even in our (American/European) outrage at the lack of (American/European) news coverage, the way we discuss this massive kidnapping perpetuates our feelings of superiority. Reading this blog post was a needed reminder even to me to check my privilege and to remember that the United States is not the center of the universe. The writer points out the continuous news coverage in Nigeria and in other African countries, along with the local efforts to find the kidnapped girls. That was depressing. Let's talk about Star Wars again. I don't have the emotional or mental energy to focus all my attention on the horrors of the world. If you are anything like my husband and me, you are dreading the upcoming Star Wars movie. You know, the one that you plan to attend at midnight in costume. The principal cast was just announced. The six original stars are returning to reprise their roles. Seven new actors will join them. A principal cast of thirteen! Awesome! Guess how many are women. Two. Carrie Fisher will be back as Princess Leia, and Daisy Ridley will play a new role. This article explains why exactly the gender disparity is so disappointing and why we need more kickass women like Leia in our sci-fi/action movies. Finally, not that I really need to blog more on blogging, but I loved this post by Bonnie on criticism. It's definitely hard for me to accept criticism, even constructive criticism, so I admire Bonnie for recognizing the different forms of criticism and learning how to respond to them in a healthy way. What did you read this week? 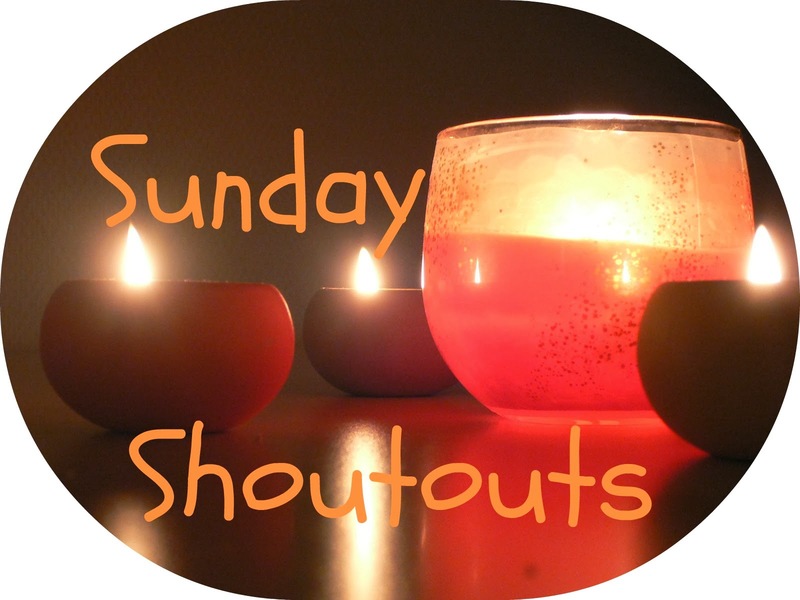 Did you write something extra-awesome that might be worthy of a shoutout? Share in the comments below! P.S. Did you know that virginity is now a four-letter word? Yeah, I had no idea either. Read my post from yesterday on how Facebook and Bloglovin have both tried to censor me. -Why are there never any blondes in space? -Why, in space, is the Male: Female ratio something like 3720:1? Does it have something to do with evolution? (People have theorized about this.) Does passing the Bechdel Test disrupts the Midichlorians? If so, this would be just one more reason to ditch the Midichlorians.